Disciples of David Allen's Getting Things Done productivity system can rejoice! Your GTD system can now go digital with Microsoft's OneNote software. Even better, you may already have Microsoft OneNote on at least one of the computers you use. Learn how to set up a OneNote notebook with all of the buckets you need to move your productivity system to the digital world. See how to use the power of OneNote to digitize almost anything in your physical world, from voice recordings to flyers in the mail. Find out how to add checkboxes, category tags, and time stamps to your action items to maximize your efficiency. Learn how to link your Microsoft Outlook calendar entries to your OneNote action items. Your OneNote productivity system can be ready to use in less than 30 minutes. If that's not fast enough, we give you a link at the back of the book where you can download a free starter GTD notebook. 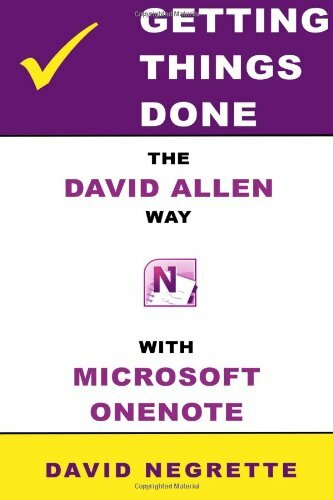 "Getting Things Done the David Allen Way with Microsoft OneNote Software" is the ideal companion to "Getting Things Done: The Art of Stress-Free Productivity" if you want to move your productivity system into the digital world. Getting Things Done ...in 30 minutes is the essential guide to quickly understanding the important lessons on productivity outlined in the best-selling book, Getting Things Done: The Art of Stress-Free Productivity. 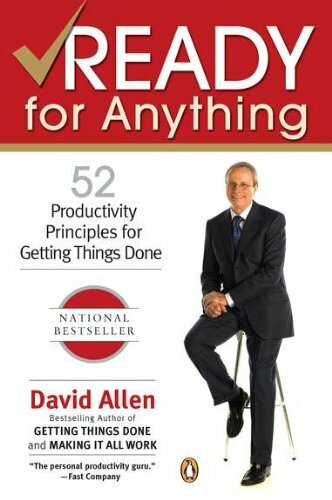 In Getting Things Done, author David Allen offers concrete knowledge on how to vastly increase productivity, for both individuals and entire organizations. Through decades of experience, Allen has devised foolproof strategies for getting things done. Getting Things Done shows you how to set up a comprehensive system for dealing with all the mental and physical "stuff," as he calls it, that clutters the mind, living spaces, and workplaces, and gets in the way of you getting things done. Identifying basic organizational and cognitive techniques essential to improving time-management skills, Getting Things Done lays out methods for uncluttering the mind and gaining control over all your responsibilities. A guide to mastering workflow, Getting Things Done offers a practical method for eliminating anxiety, minimizing stress, and achieving optimal productivity. 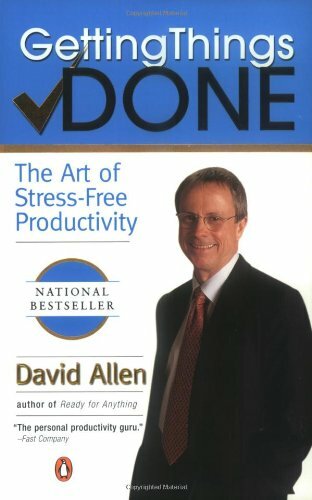 In-depth analysis of key concepts from Getting Things Done, such as "Next-Action Thinking" and the "Two-Minute Rule"
As with all books in the 30 Minute Expert Series, this book is intended to be purchased alongside the reviewed title, Getting Things Done: The Art of Stress-Free Productivity. 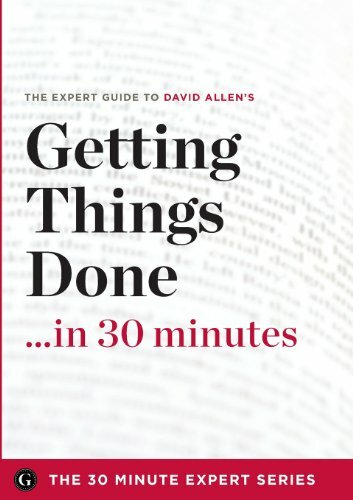 In his bestselling first book, Getting Things Done, veteran coach and management consultant David Allen presented his breakthrough methods to increase efficiency. Now “the personal productivity guru” (Fast Company) shows readers how to increase their ability to work better, not harder—every day. Based on Allen’s highly popular e-newsletter, Ready for Anything offers readers 52 ways to immediately clear your head for creativity, focus your attention, create structures that work, and take action to get things moving. With wit, inspiration, and know-how, Allen shows readers how to make things happen—with less effort and stress, and lots more energy, creativity, and effectiveness. Ready for Anything is the perfect book for anyone wanting to work and live at his or her very best. “Evernote is your new, virtual filing cabinet.” Mastering Evernote will show you how to navigate and enhance your experience of this wonderful tool in just two hours. Start slicing through the multi-layered functions and various possibilities within Evernote. Discover the tool that will change the way you remember things forever. Whether you are an advanced user wanting to push Evernote to its limits or a beginner ready to explore the impact of this free app on your life, Mastering Evernote will evolve your proficiency by stacking up tip after trick till you reach the top. We are committed to providing an up-to-date experience. Buy the book once and get access to unlimited updates as they are released. Keep reading to see how the book has already been improved and expanded since the original release in October 2012. Let us know what you think should be added in future editions! What's included in Mastering Evernote? -How to use Evernote as file storage facilitator - never use file trees again! 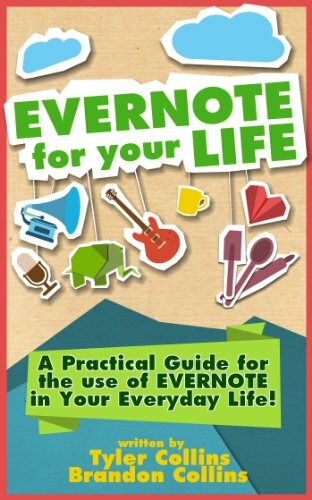 Each section of the book takes you deeper into the functionality and inner workings of Evernote, making this book an excellent reference guide. If you’re an advanced Evernote user skip the beginner sections and jump straight to the advanced. If you’re new to Evernote just read the book front to back as each new strategy, technique, and Evernote tip builds on the one before it.